More often than not, regardless of whether it is a Western or Asian movie or a Western or Asian television show, we viewers are often presented with premises or synopsis that, on paper, make you wonder if it’ll be any good or if they’ll be able to pull it off well. And sometimes, the title of the piece makes you wonder the same thing as well. However, thankfully, there are many that might sound absurd or boring or too high concept on paper, but manage to pull it off in a way that surprises you, and sometimes just completely wins you over. In my Kdrama watching experience, this has happened a lot of times, and one of these just happens to be a little gem called “I’m Not A Robot” that received poor ratings in South Korea but did well overseas, that had a lot of heart and deep life lessons, that probably will be setting off a new trend when it comes to science fiction in Kdramas- robots. “I’m Not A Robot” aired on MBC from December 6, 2017 to January 25, 2018. It was one of those 2017 tail end dramas that ended its run in 2018, making me mark it as a 2017-2018 Kdrama, and a 2018 Kdrama at the same time. It ran for thirty two half hour episodes, and had a quirky, light and fun soundtrack by Jung Se Rin. It was created by Han Hee; written by Kim Sun Mi and Lee Seok Joon; produced by Kim Jin Chun and Yoo Hyun Jong; and directed by Jung Dae Yoon (“She Was Pretty”, “W-Two Worlds”, “Arang and the Magistrate”, “Queen of Reversals”) During its run, it unfortunately did poorly when it came to ratings in South Korea, but the show has gotten a lot of praise online from Kdrama fans. This show, although it was more romantic comedy with elements of science fiction here and there, I think, may just start a trend when it comes to robots and artificial intelligence when it comes to Kdramas. After all, there is a currently airing (June 4-August 7, 2018) drama on KBS called “Are You Human Too?” which also features a start of the art human (male) android. The drama tells the story of Kim Min Kyu (Yoo Seung Ho), a director of a prosperous financial group who lives in isolation due to a rare medical condition that has no cure- for the past fifteen years he has been allergic to other people. As soon as he touches someone, no matter how slight it is, he breaks out into severe rashes and can’t breathe. However, all of that changes one day when a small research team, the Santa Maria Team, led by Dr. Hong Baek Gyun (Um Ki Joon), introduce a state of the art female android called Aji 3 that they developed with the advanced capacity to respond to human emotions and connect with humans. However, complications arise after a crucial part of Aji 3’s gets destroyed, causing Baek Gyun to contact Jo Ji A (Chae Soo Bin), his ex-girlfriend and the model for Aji 3, to ask her to fill in for Aji 3 while it gets repaired. 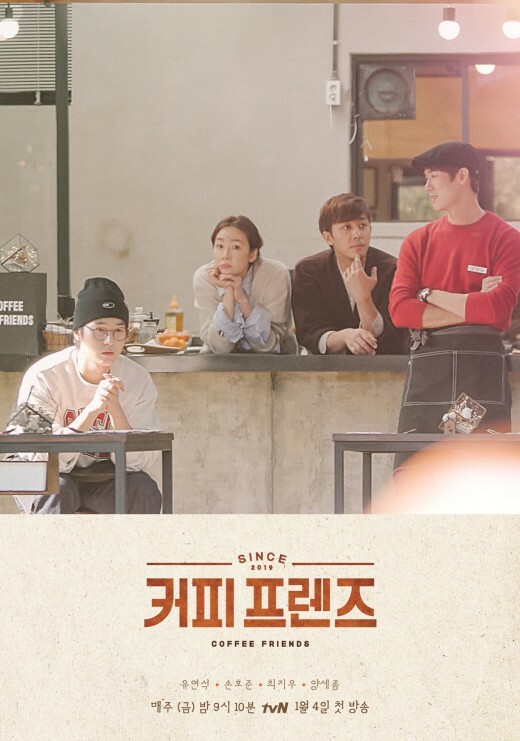 The rest of the drama follows Ji A teaching both Aji 3 and Min Kyu about what it means to be human; set against the backdrop of a chess game of office politics that Min Kyu’s rivals in the company he helps run. “I’m Not A Robot” is the very definition of a modern romantic fairytale that came off as very refreshing as they took the usual Kdrama tropes and subverted them, making the show feel very grounded despite its high concept of androids and robots. Aside from this, the show was well acted, well directed, the pacing was good, the little special effects that were needed were executed well, and it had memorable characters that went on interesting journeys throughout the show. I’ve seen reviews of this show that said that it could do without the office politics, and I agree, but it didn’t detract with how much I absolutely ended up loving this show. This was also the first time I’ve encountered Yoo Seung Ho in a drama, and I think that he pulled off an excellent performance in the show. Not only did he prove that he has the acting chops to pull off comedy well, but he was also able to go through a wide range of emotions and pulled it off every single time. Every time he laughed and cried, I felt the same way; and while there were plenty of moments where he was warm and caring, he could also go to the other end of the spectrum and be cold and filled with anger, without losing sight of who his character is. It was also my first time seeing Chae Soo Bin act, and I was impressed as she was not only able to pull off playing Ji A well, but she also managed to portray Aji 3, the actual robot, at the same time, just as well as she portrayed Ji A. Aside from this, this show had a lot of heart, and contained a lot of life lessons that teach us the value of human connection and emotions, trust, what it means to be human, and the fact that everyone is capable of forgiveness and change if one actively does something about it. “I’m Not A Robot” is a modern romantic fairytale that not only delivers on a high concept out of this world premise, but doles out life lessons by the dozen, making it a must watch for any Korean drama fan today. One of the things that was great about this show is how they were able to pull off their high concept and a little bit absurd premise. Chae Soo Bin pulling double duty as Ji A and Aji 3 did the trick for the robot part; and as for Min Kyu being allergic to humans, I’m glad that they were able to find an actual reasonable explanation for it- it was pretty much psychosomatic, as he started having that allergy after his father’s friend and colleague and the father of one of his best friends betrayed him. I also liked the actual “cure” for Min Kyu was to learn how to trust others and how to trust them despite the fact that they also might, at times, end up hurting or upsetting him. Interestingly enough, half of Min Kyu’s cure was Ji A as Aji 3 showing him kindness an affection (outside of his parents and butler); and that half of it was him learning how to forgive and how to start putting the past behind him, which was shown after he forgave Ji A and the Santa Maria team for letting him believe that he was dealing and ended up falling in love with an actual robot, and a bigger step was when he and Hwang Yoo Chul (Kang Ki Young) (his best friend who also betrayed him thanks to Yoo Chul’s father) patched things up. So, in a way, Min Kyu’s allergy towards other humans was more due to his general distrust of everyone because the betrayal experience made him feel that everyone is out to get him and that there was no one he could trust. In the end, however, he ended up being able to go out again, gained new friends and family, reconnected with old friends, and got an amazing girlfriend to boot. I don’t think I have to say anymore how impressed I was with Yoo Seung Ho’s performance, as I’ve already mentioned it above. Ji A, on the other hand, throughout this entire experience, rediscovered that she’s really good at helping others, whether its through her interesting inventions or her connecting to that one person who really needs her helps as she did with Min Kyu as Aji 3. I also like the fact that her character wasn’t the usual quirky girl trope we often see in dramas, as she can stand her own ground, faced the music when she knew what she did was wrong, and was creative and generally very much someone who thought out of the box. This is why she, as a character, felt very much real. Chae Soo Bin as Aji 3 really shone in Episode 30, where the culmination of all of the experiences Aji 3 had learned allowed her to think and decide on her own to return home because she knew that she was made to help humans and not to become a weapon. In her journey from that building back to the Santa Maria team, we see the success of what the Santa Maria team wanted to do, and culmination of all the lessons about being human that the show wanted to teach us. The secondary leads also didn’t fit the usual Kdrama tropes. It would have been so easy to hate Ye Ri El (Hwang Seung On), but she was presented here as a classy woman who refused to be treated as a pawn and let her father define her life. Yoo Chul is another who could have just not been redeemed, but instead, even though it did take a long time, he was able to finally realize his mistakes and took action by not letting his father’s past actions and will dictate his own future, which was seen in him finally apologizing to Min Kyu. Both Baek Gyun and Ji A’s brother, Jin Bae, went through a journey of discovery that made them realize that Ji A was far more capable than they thought she was and leading them to stop taking her for granted. With Baek Gyun, and with Min Kyu trying to rekindle their relationships with Ji A and the reset Aji 3, we were also shown that sometimes, rekindling old relationships can never really happen, especially as you are both much different from how you were before. All in all, “I’m Not A Robot” is a gem of a Korean drama that teaches you life lessons, is refreshing, and boasts a good and well directed story with memorable characters and great acting. Definitely a must watch for any Korean drama fan, and I do believe that it was another great drama that started the drama year right. Have you seen “I’m Not A Robot”? What did you like or not like about it? Let me know what you think in the comments below!